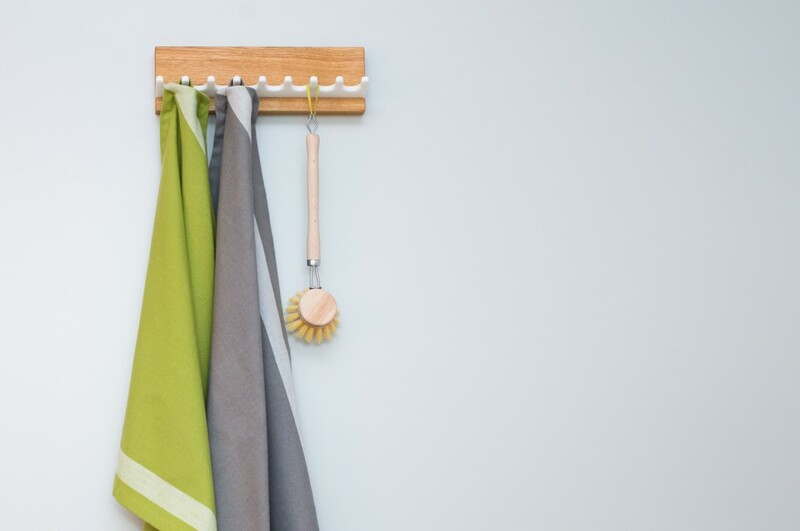 Here at klotzaufklotz we are dedicated to crafting products that are stylish and functional at the same time: just like our wooden kitchen rack! 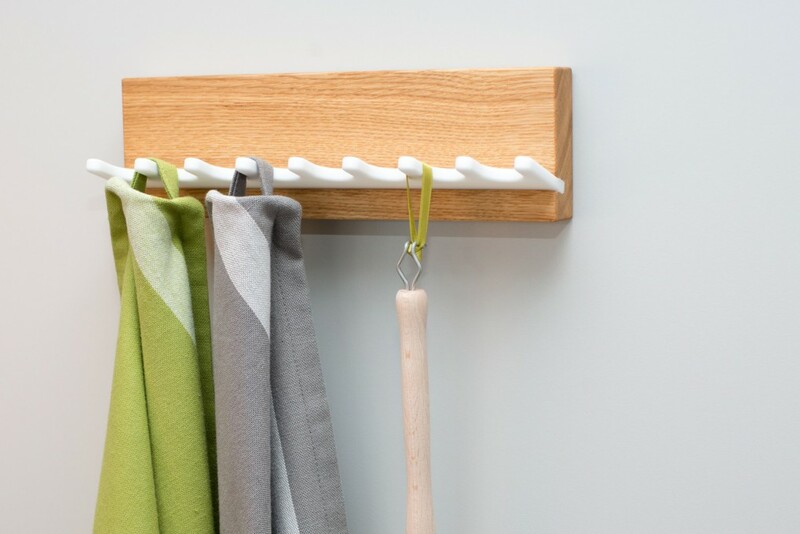 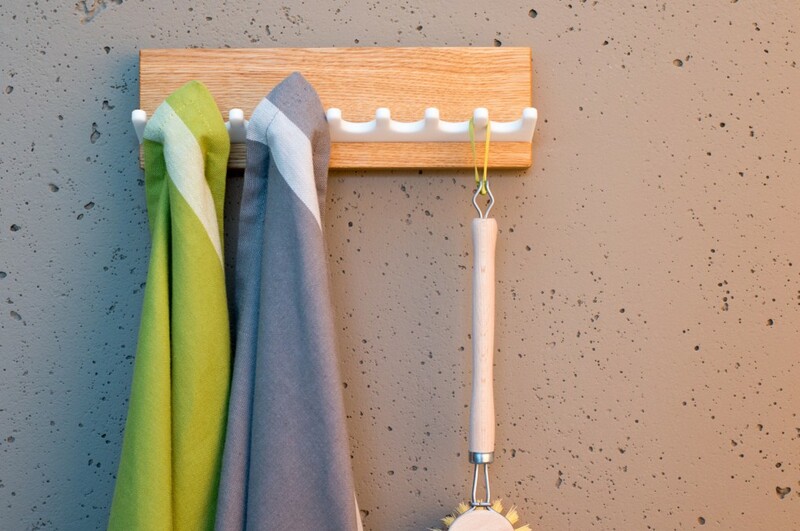 Hang up your pot holders, dish towels or brushes on our kitchen rack and have them at your fingertips any time you need them. 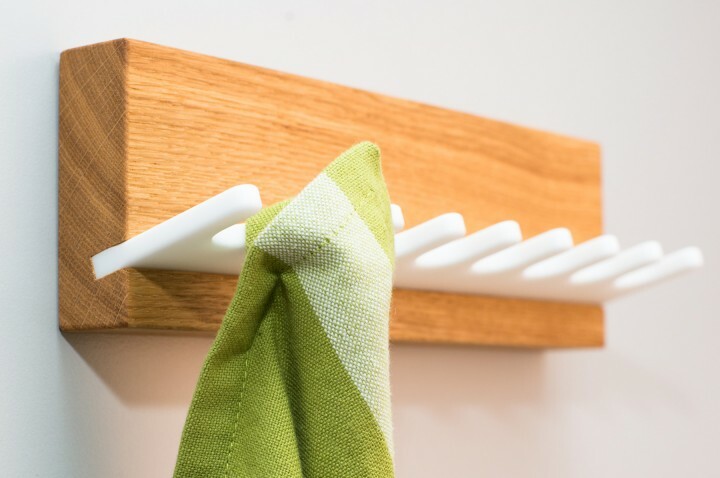 Pegs of white acrylic solid surface material contrast with solid oak wood and enhance your kitchen.